Svale Staaleson (Samuel Larson or Lawson in Chicago). Svale Staaleson wrote this letter in 1859 to his brother back in Norway. Along with one momentous message -- that he liked it here and planned to stay in Chicago -- there are interesting descriptions of the town in the 1850s. It is hard not to laugh when he describes the relative distance of the sun from Chicago and from Norway, or to note the irony that in 1859, of all years, he would say that the absence of civil war was a reason for recommending America as a place to live. Letter from Svale Staaleson Hytland, born 1823 in Bjerkreim Township, Rogaland County, Norway. He was thirty-six years old when he wrote this letter. He addressed it to his brother, Sigbjørn Staaleson Hytland, born in 1808. (His brother, Omund Gya, to whom he refers, was born in 1813. 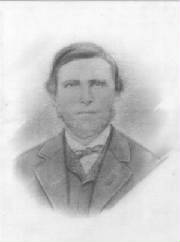 Brother Iver was born in 1819.) Svale Staaleson was known in Chicago as Samuel Larson or Lawson. He lived in Chicago until he died on January 22, 1901. The Norwegian language has changed considerably since 1859. This text is close to Danish in many ways and is written in the local Bjerkreim dialect. I have added punctuation and paragraph breaks to make it easier to read. My clarifying notes are in brackets. Many thanks to Reidar Efteland of Klepp, Norway, great-grandson of the addressee, for safeguarding the original letter and sharing it with the family in Chicago. Translation by Gary T. Johnson, Evanston, Illinois, who is the great-great-grandson of the writer. Your dear letter to me from November 7  is close at hand and I also have received a letter from brother Omund Gya dated the 17th of November . I received both letters a month's time after they were sent in the mail. Dear brother, it may seem to you that there has been an ungodly delay in replying to you but I will tell you the reason. There has been some difficulty here and I have not turned to writing for a while, but I will not delay writing any longer. I will answer you now as best I can. I see from your letter that you are living well at home. This makes me glad. I see from your letter that it is your wish that I should come back again, but I can hardly do that because my decision now is to settle down. Last summer at about this time of year, I bought a lot where I have built a house. The lot cost around $1,400. I owe some money still, but I shall certainly get enough money to pay for it in time and so it will be good to own property free and clear. I have rented out the house for $12 per month, but I also have many expenses and heavy taxes (fire tax, water fees and municipal tax). Taxes are around $30 a year, so you can understand why people here must earn a lot. So that you can understand why we need to pay water fees, I must give you a short description of the town of Chicago. It lies at the southern end of the large inland waterway called "Michigan" and it lies in the northern part of the State of Illinois. The town's length is easily three quarters of an [old] Norwegian mile [i.e., 5.25 U.S. miles] and its width is one-half of an [old] Norwegian mile [i.e., 3.5 miles], but it is so long that it is not built out very far in width. The river that is the town's harbor divides the city in three parts. The whole area is a big plain that extends so far that the eye can see no elevations at all. The city is supplied with water by a steam engine that pumps water out of the lake and then goes through pipes that are buried in the ground in all parts of the town. Those who want water inside their homes must pay a yearly fee based on the size of the building. (The water quality is fine.) The town's inhabitants number 110,000. There are easily 200 churches of which there are six Norwegian and Swedish churches. Among them is one Norwegian church that is just the same as at home in every way and is served by a priest from the county [Rogaland County, Norway] who lives here. The sun and other celestial bodies seem to be the same distance away as they are in Norway, but the days here are never as long and never as cold as in Norway. There is no midnight sun here. It becomes dark here right after sunset. America lies so far to the west that when it is noon here it already is six o'clock in the evening in Norway. I also see from your letter that you want me to say something about the Norwegians who live here whom you know from home. Ole Aamot I know nothing about, but he must be living in Minnesota. Torkel Løberag and Claus Wigesaae live here in the city and are doing well. Well, the three siblings from Østrimdal [Austramdal farm in Bjerkreim] and their mother are also here and doing well. I have been told by a newcomer from Hæsted in Helleland diocese that brother Iver is still thinking about settling in America but that he is having second thoughts about it. Ask him to write to me immediately so that I can write him back and tell him what would be best for him to take along if he comes here. I now must close my letter with prayers that you give a warm greeting to all my brothers and relatives and all my friends. I ask that you will write back to me as soon as you possibly can because it is very precious to receive a letter from you. I thank you for the news you have sent me. In the future, I won't take as long in answering you as I did this time. The warmest greetings to you and the family from your brother. Hans Tobias Mauritson asks me to send you his greetings. This was the last surviving letter that the Norwegian family of Svale Staaleson received. They learned the rest of the story of the family in Chicago when Gary Johnson contacted Reidar Efteland, a descendant of the brother to whom this letter was addressed. Reidar and his family still lives near Stavanger, Norway. Bjerkreim Reunion.